Heat oven to 350°F. Spray 10 muffin tins with nonstick cooking spray. Place one round of Canadian ​Bacon in each cup, pressing to line sides and bottom. (You may need to slightly fold the edges.) 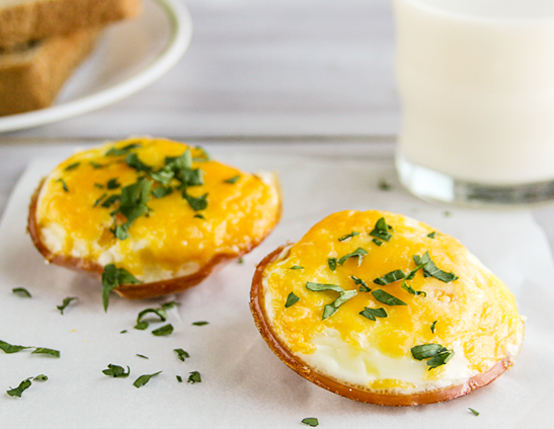 One at a time, crack eggs and place in Canadian ​Bacon ​"cups," one egg per cup. Sprinkle each with 1/2 tablespoon cheese. Bake in the preheated oven until eggs are done to your liking, 12-18 minutes. Sprinkle with fresh parsley, if desired.